If you’re looking for a fun full-body workout, there are several options you should try. Zumba classes are a popular one, or maybe invest in a fitness DVD to try at home if you need to build your confidence first. 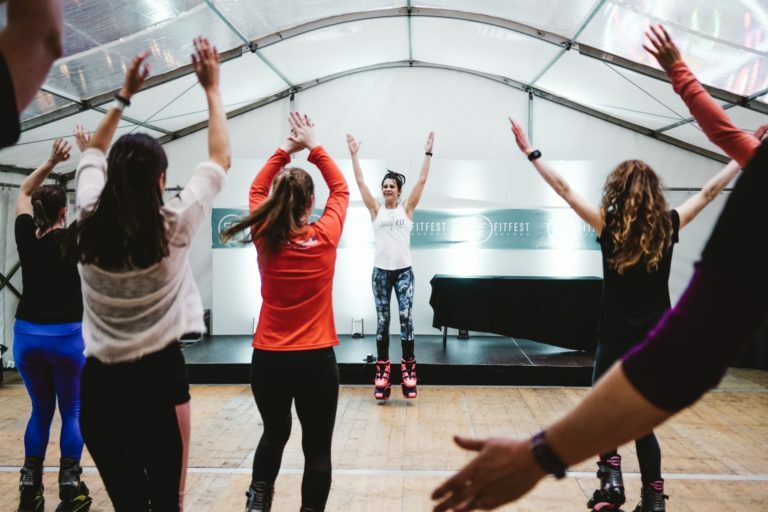 A unique alternative is a JumpFit class, which uses rebound boots to get you bouncing while toning and strengthening your whole body. Alternatively, if you invest in your own pair of rebound boots, you can workout anywhere you like! Take to the streets in your rebound boots for an energetic run, head to the park or jump in the comfort of your own home. The boots take up very little space and rebounding is a very efficient way of working out. Rebound boots help to take the strain away from your joints, thus protecting your ankles, hips, knees, shins and spine. You will find that you naturally hold in your abs to keep your balance, working your core while you bounce. Turn up the tunes and jog, hop, jump, kick, skip and dance your way to a healthy body. Rebounding induces a natural state of euphoria, too, so it will keep you smiling long after your workout. Burn fat and build muscle by creating your own tabata routine with some high knees, boxing moves and squats. Mix it up and you’ll never get bored of bouncing! JumpFit UK are the official UK distributors for Aerower rebound boots, and they kindly provided the information and images in this article.